PACIFICA BUCERIAS is a new exciting development under construction in the heart of the oceanside town of Bucerias with one and two-bedroom condos to be built on the most elevated location of the desired Zona Dorada, just two blocks to the long sandy beach and in the heart of everything appealing in this town. PRICE SHOWN REFLECTS SPECIAL 10% LOUNCH DISCOUNT. 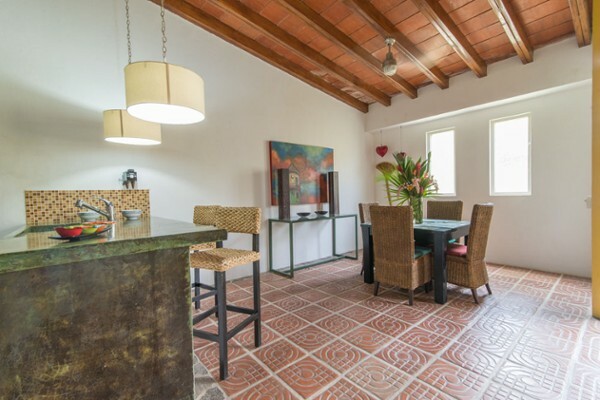 This property offers exceptional value, high standards, and modern amenities with a contempory Pacific Mexican design sensitive to the character of Bucerias. Owners have access to all facets of the Bucerias and Riviera Nayarit lifestyle—day and night—with immediate access just two blocks away to the most popular kite surf and stand-up paddle zones and within footsteps of a myriad of cafes, restaurants, boutiques and galleries. 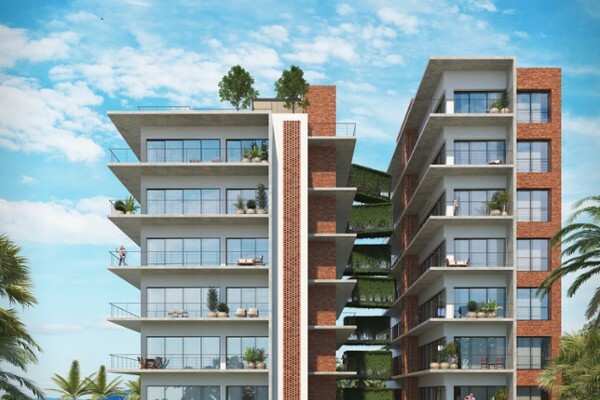 Capitalizing on its elevated and perfectly sloped location, its terraced placement of three modular buildings with varied heights offers ocean, “pueblo” and mountain views, depending on the unit. 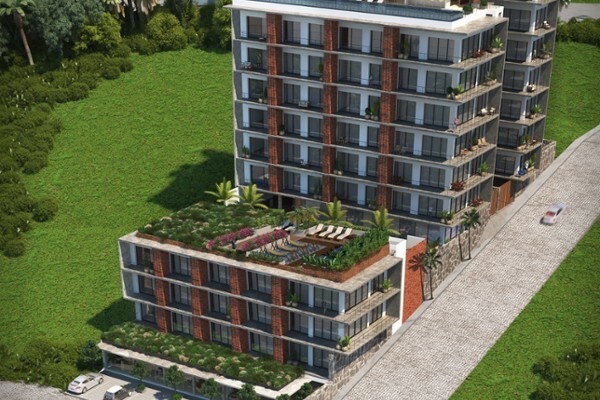 Three elevators and two lobbies provide easy and level access to each condominium. 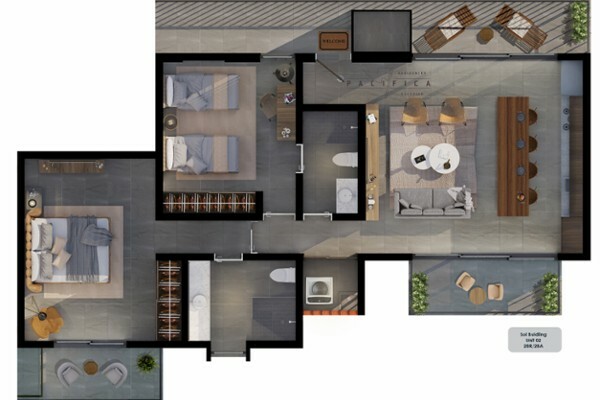 This two bedroom unit features two full Bathroom. 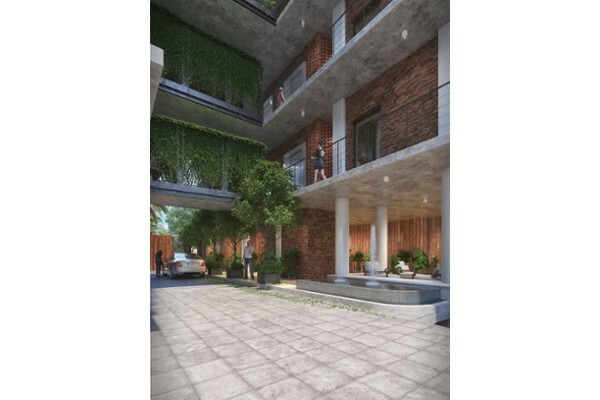 Each thoughtfully-planned condo is detailed with high grade finishes of European PVC window systems, porcelain flooring, granite, marble, bathroom and kitchen fittings, quality carpentry, zoned AC, energy-saving lighting, filtered water, an excellent appliance package and many other details. 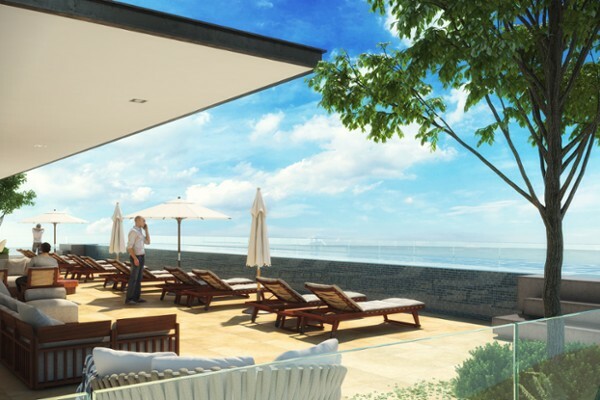 The pinnacle of its design and amenities will be the very first roof top pool in Bucerias. Owners will have exclusivity to 180-degree views of Banderas bay and an expansive recreation area that covers more than 5,000 square feet of luxurious space. An additional rooftop social area on the Playa building will provide a contrasting ambience. An equipped workout room, common storage for sports equipment and one underground parking spot for each unit add convenience and value. Description: Beautiful 2 bedroom house, 2 floors, located in Los Arroyos Verdes, an ..
Immaculate and precious home with fabulous, newly finished, covered rooftop terrace ..
Now available! 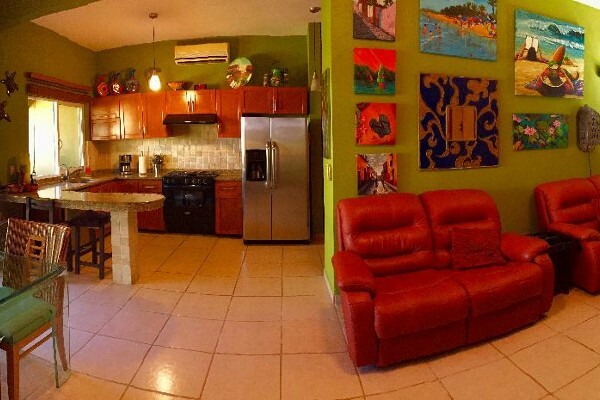 Modern updated townhouse in gated community of Terralta 3, just a 5 m..
Bucerias, Nayarit, has been a favorite for homeowners for many years, especially when Puerto Vallarta, Jalisco, started getting a little too big for some and people started heading north. 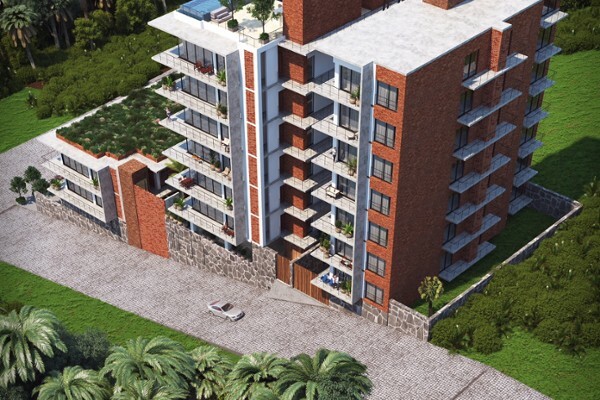 Real estate development has caught up here as well, with a number of large developments, primarily for condos or townhouses, are now situated in or around Bucerias. It is unfortunate that Bucerias has been divided, twice over, by Highway #200 which runs right through it, and also a dry river bed (at least for most of the year), that also serves a a road during the dry season. 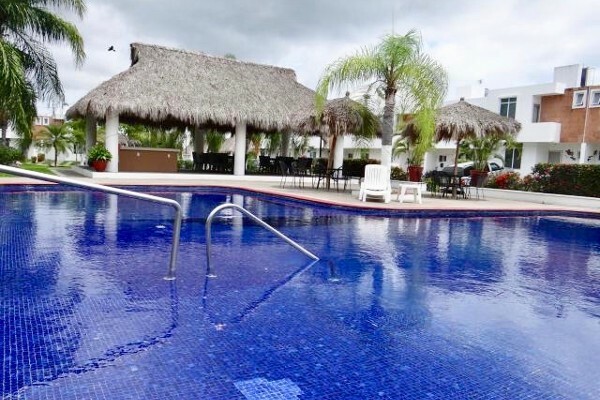 But this hasn't stopped Bucerias from becoming one of the bay's favorite towns for Americans and Canadians, who usually purchase real estate on the oceanside of the highway, where most of the action–restaurants, shops, and bars–takes place. Bucerias has plenty of character and reflects the strong culture of Mexico. If it's Mexico you are looking for, you'll find it here more so than in neighboring Flamingos or the North Shore. The area has strong markets for both homes and condominiums for sale on the beach, hillside and in the towns. Bucerias homes tend to be older, featuring classic Mexican architecture, with some impressive homes along the beach.